This post is part of a 4 part series on stress and learning. To see the rest of the series click here. Ever since the horrific events of September 11, 2011, it appears that there have been more and more violent acts occurring around the world than ever before. The massive shootings, even within our own school systems and places of worship, have spread fear and terror throughout our community. So, how do we help our children understand what is happening and teach them how to cope with it? First we need to understand why the brain reacts the way it does and then figure out a way to handle it all. When a traumatic event occurs, such as a terrorist attack, the brain initiates a cognitive sequence where our emotional arousal activates our focus (Sylwester). This provides direction for critical thinking and problem-solving systems to become engaged. But what role does emotion play in all of this? In the 1950s, Paul Ekman, through empirical research, began to study body language and facial expressions. He concluded that there are six basic emotions universal across all cultures: happiness, surprise, sadness, anger, disgust and fear (Ekman, 2003). Antonio Damasio, neuroscientist and professor at the University of Southern California and adjunct professor at the Salk Institute, has shown that emotions are critical to social cognition and decision-making. His studies influence our current understanding of the neural systems that are associated with language, consciousness, and memory (Damasio, 2011). When a tragedy strikes, like bombings and massive shootings, all emotions, except happiness, are triggered. It’s only natural for our nation to exhibit an emotional outburst. We’re immediately aroused but don’t know where to focus our attention or how to proceed (Sylwester). The news media actually had been reporting emerging geopolitical activities prior to the September 11th event. However, “In typical human fashion, we waited for the explosion before we attended to the looming problem” (Sylwester). According to Robert Sylwester, who was an Emeritus Professor of Education at the University of Oregon, and author of numerous books on the brain and learning, explains that there are two separate problem-solving methods. The first is the conceptual, reflexive problem-solving system that responds quickly based on a small amount of emotionally intense information. Because it’s not interested in details, “it’s thus quite vulnerable to making racist/sexist/elitist responses based on only a few highly visible emotion-charged elements” (Sylwester). The second problem-solving method (located primarily in the frontal lobes of the brain) is the analytical, reflective system. This processes information more slowly and is reflective on what is happening (Sylwester). Sylwester gives a great example of when we’re looking at a car. If it’s speeding down the road straight at us, we use the conceptual, reflexive problem solving system and react quickly. If we see the car sitting in the dealership’s window, we’ll use our reflective, analytical system to think about the cost, features, etc. The brain is designed for survival so the default rapid reflexive system responds first. It responds quickly if the situation is dangerous and if it requires an immediate action (fight or flight). When there isn’t an immediate danger, then the reflexive system typically responds first (Sylwester). When we hear of ISIS and other terrorist groups being responsible for numerous tragic events around the world, it sparks both positive and negative reflexive responses. On the good side, many volunteer, donated funds, express empathy, grief, and show their patriotism. On the down-side, some harass those who look like they are of Middle East origin or of the Muslim faith. Some refuge in their religion and others blame religion. Some want military retaliation while others want a peaceful resolution (Sylwester). Bottom line, it takes time to process what and why tragic events like this happen and even longer for reflective problem solving strategies to develop. When we face tragic events, students need to understand that our emotions will kick into high gear first. “Our challenge is to develop and use our reflective capabilities as much as possible” (Sylwester). First, talk about about Ekman’s six emotions; happiness, surprise, sadness, anger, disgust and fear. Students need to understand what they are and why they are activated in highly emotional situations. I’d also recommend viewing the Disney/Pixar movie, Inside Out, since it does an excellent job not only explaining how emotions control our brain and thinking, but it shows how they can affect our memory, our ability to retrieve information, and how emotions even affect our abstract thinking. “Teachers, while serving a crucial, front line role, should not be required to provide treatment.” This is important to note. Although teachers go through extensive training on what to do in emergency situations, they really are not clinically trained to provide the needed assistance many students require (The National Child Traumatic Stress Network). The following is a list of resources obtained from the Florida Association of Supervision and Curriculum Development (fascd.org). These will be helpful in beginning the healing process after experiencing a violent or traumatic event. 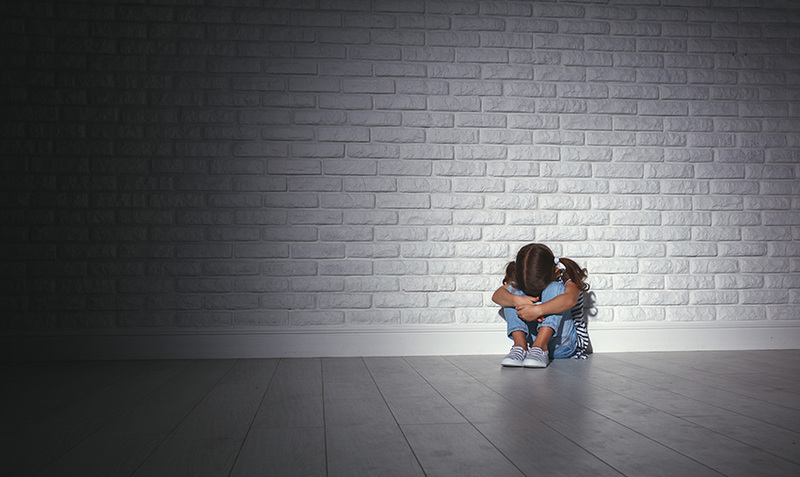 The entire December, 2017/January, 2018 issue of Educational Leadership (EL), Mental Health in Schools, has many articles focused on how to help students who have experienced traumatic events. Dr. Lou E Whitaker has a Bachelor of Science in Education from Northern Illinois University, a Masters in Administration from National-Louis University and a Doctorate in Educational Leadership from Nova Southeastern University. Having over 35 years experience in education, she has been a teacher, an assistant principal, a principal, and served as the Associate Superintendent for Schools for the Archdiocese of Milwaukee. She is currently an Educational Consultant for Open Minds Enterprises, EdCenter, Global Center for College & Career Readiness, as well as a consultant for MeTEOR Education. Chosen as one of Dr. Pat Wolfe’s Brainy Bunch Members, she has been involved with Dr. Wolfe’s continuous study of the human brain. The Brainy Bunch is a group of educators and health professionals who are passionate about brain development and its impact on learning. On a yearly basis, the group invites two outstanding neuroscientists to meet with them and discuss their latest research developments. Then this renowned group of educators, lead by Dr. Wolfe, translate neurological research into classroom practice. Dr. Whitaker understands the important of keeping abreast of what is going on in neuroscience as well as understanding the importance of data-driven best practice research. These are essential for making a positive impact on our students’ lives. ASCD. (2017/2018). Educational Leadership (Vol. 75). Alexandria, VA, USA: Association of Supervision and Curriculum Development. Bushinski, C. (2017/2018). Handling kids in crisis with care. Educational Leadership (EL) , 75 (4), 66-67. Disney/Pixar (Producer), Docter, M. a. (Writer), & Docter, P. (Director). (2015). Inside Out [Motion Picture]. USA: Disney. Souers, K. (2017/2018). Responding with care to students facing trauma. Educational Leadership (EL) , 75 (4), 32-36.